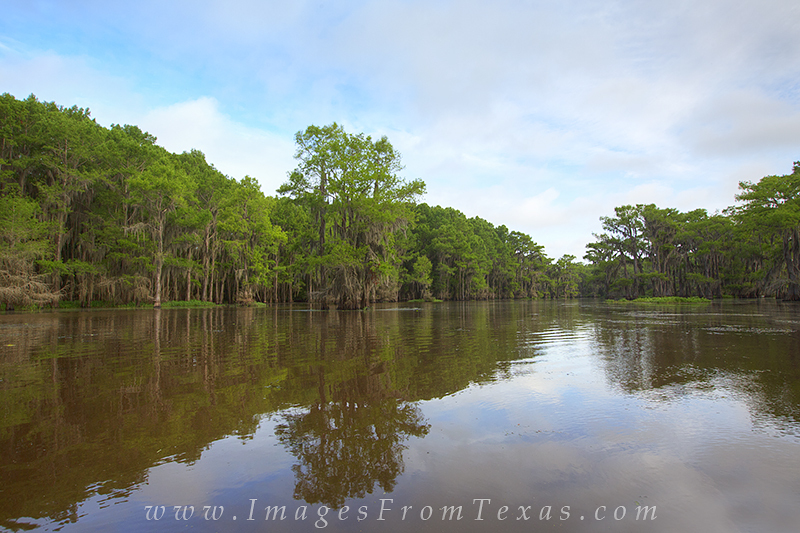 Taken from a boat a little after sunrise, this image shows the cypress reflecting in the murky waters of Caddo Lake. The morning sunshine slowly melted off the clouds for a brief time. Later, storms rolled across this east Texas cypress forest, but eventually led to an amazing sunset. Photo © copyright by Rob Greebon.